Anything, in fact, with the name of the country we visited will do, and if it’s also something they won’t tire of looking at, so much the better. Now, however, rather than bring something that represents Beijing’s positive side, people are bringing home a can of smog from the Chinese capital! You may have heard before of fads where clever entrepreneurs sold tins of fresh air from various beautiful locations, but filthy smog is a new one on us. 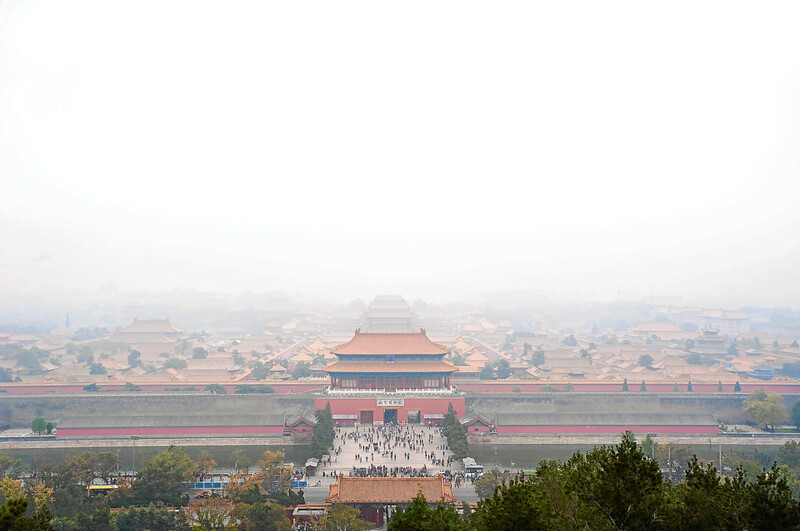 You won’t be long in Beijing before you notice that many locals cover their mouths and noses with cloths to avoid inhaling the thick polluted smog here. When it reaches critical levels each day, holidaymakers often find they are the only folk for miles around who aren’t wearing protection, so it may seem like the last thing you’d want to capture in a tin and take home! One local man thought canning and selling the vile stuff would be a good idea, and he has been proved right. French, Canadian and Australian fresh air was selling well in Beijing, after all, so why not try the opposite? Most surprising of all, perhaps, is that the man in question is British! He’s Dominic Johnson-Hill, based in the city, but originally from the UK, and he owns the Plastered 8 souvenir shop. His cans of smog feature some landmark iconic parts of the city, and the description says the cans contain a unique blend of nitrogen, oxygen and some other stuff! You can also get them at the Plastered 8 online shop, if you don’t fancy going to Beijing to experience the smog for yourself. Be prepared to use a bit of patience, however, as they are said to be selling like hot cakes and they are struggling to keep up with supply. Dominic sells hundreds of the smog cans every day. A warning on the can says May Have Come Into Contact With Nuts, and we have to agree!